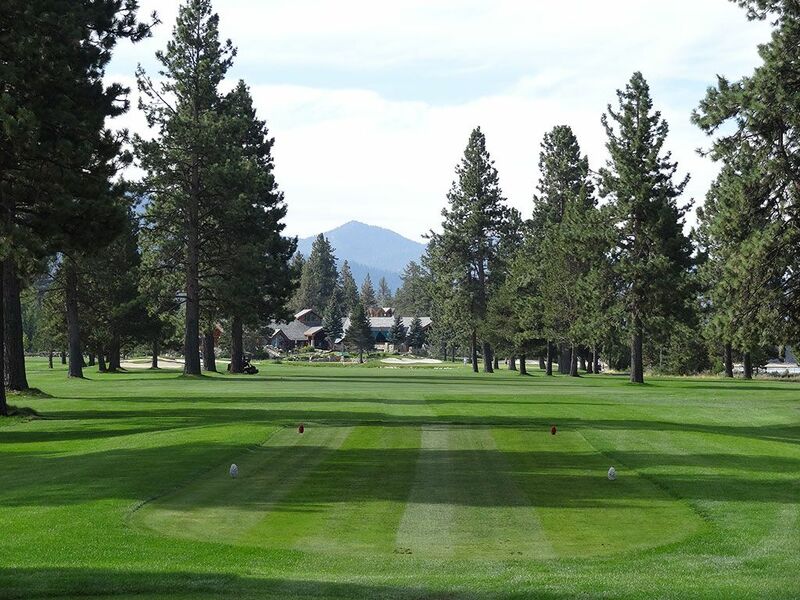 Course Website: Official Website - Visit Edgewood Tahoe's official website by clicking on the link provided. 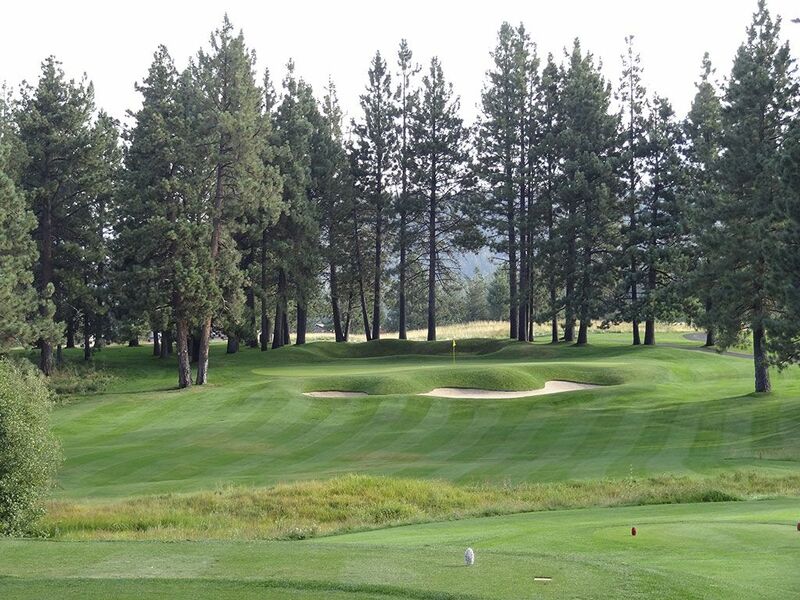 Accolades: Ranked 3rd in Nevada on Golf Course Gurus' Best in State list. 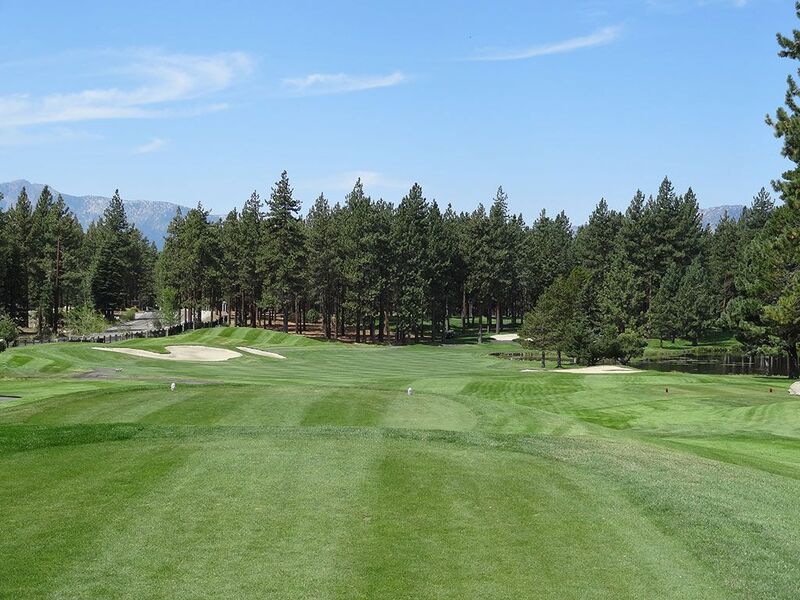 What to Expect: Edgewood Tahoe is one of the best known resorts west of the Rockies which can largely be attributed to Celebrity Golf Championship that is held there in July annually and broadcast on TV. 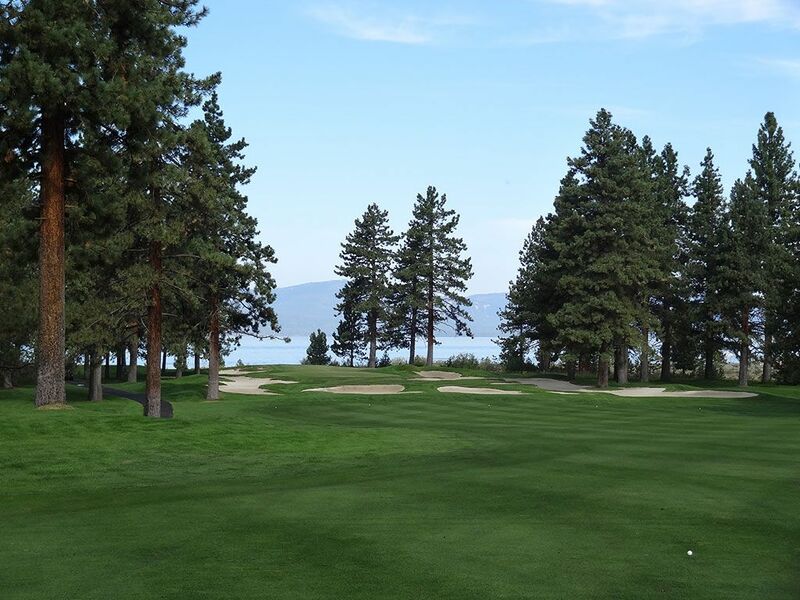 The course is best known for the final three holes (two par 5s and a par 3) which play along the shores of beautiful Lake Tahoe and represent as one of the most picturesque finishing stretches in golf. 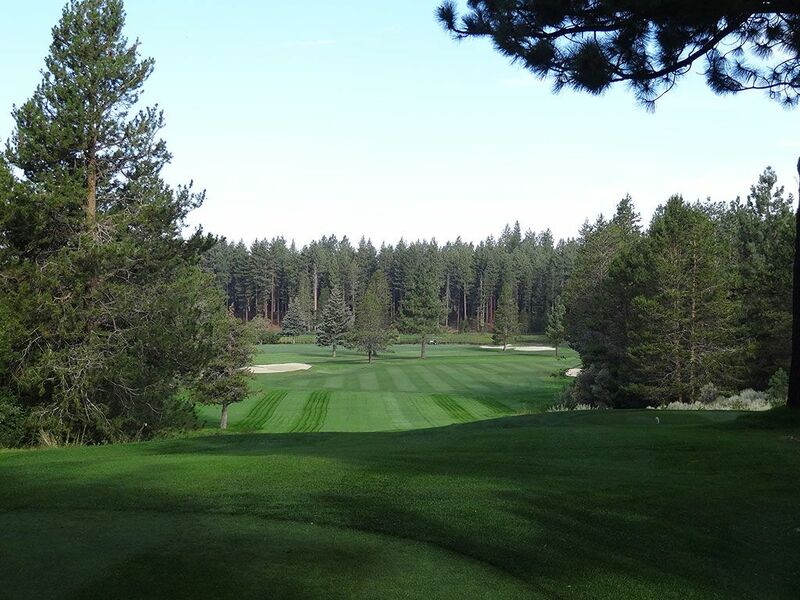 Magnificent sized pine trees line the holes and occasionally are found in the fairway to negotiate around. The holes near the coastline are pretty flat while the holes further from Lake Tahoe feature some undulation paired with elevation changes. The course is easily walkable in both routing and terrain, however youâ€™ll find most players in carts as one might expect at a high end resort. The course conditions are commendable but not quite on par with the private clubs in the area that receive much less play. 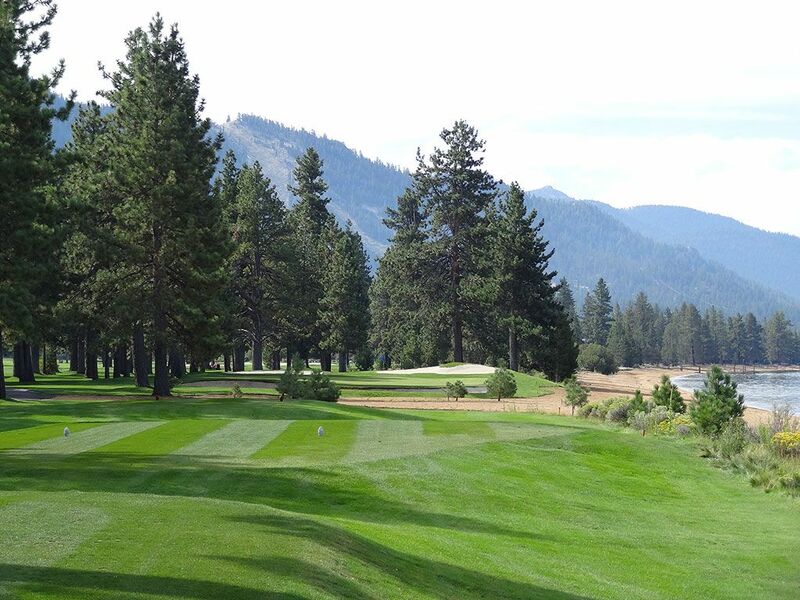 While the final three holes get all the hype at Edgewood Tahoe, I was quite impressed with rest of the course which added merit to the accolades Edgewood in known for. 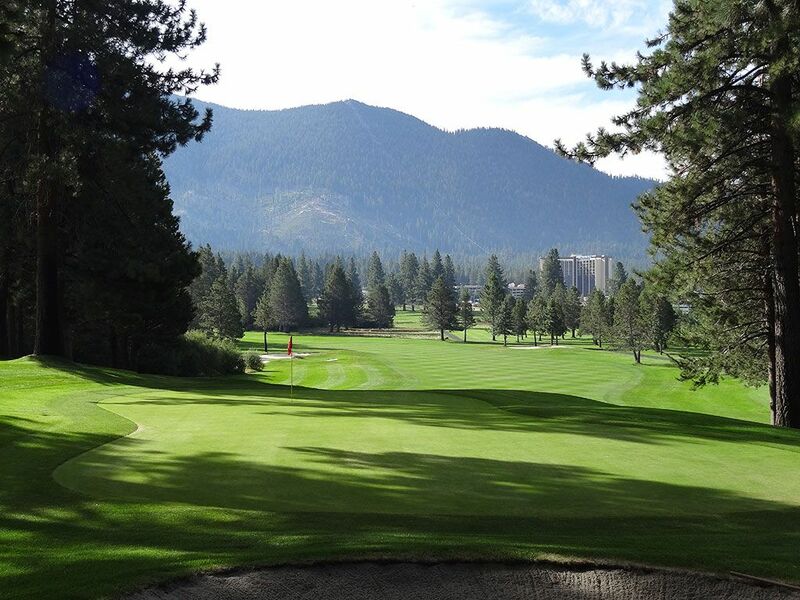 Among the events hosted at Edgewood Tahoe are the 1980 U.S. Public Links Championship and the 1985 U.S. Senior Open Championship. 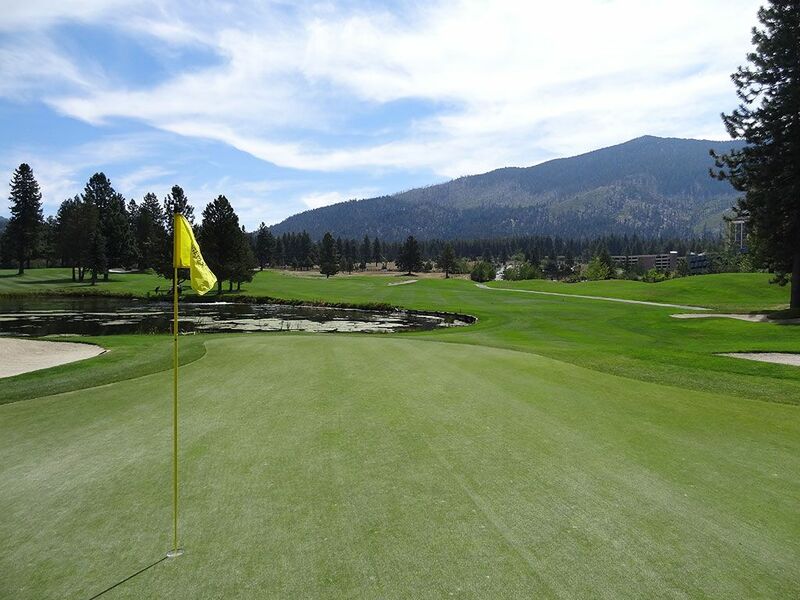 Signature Hole: 17th Hole – 207 Yard Par 3 – Not only is this the signature hole at Edgewood Tahoe, it is one of the most recognizable holes in the country thanks to the celebrity golf tournament that is televised annually here. 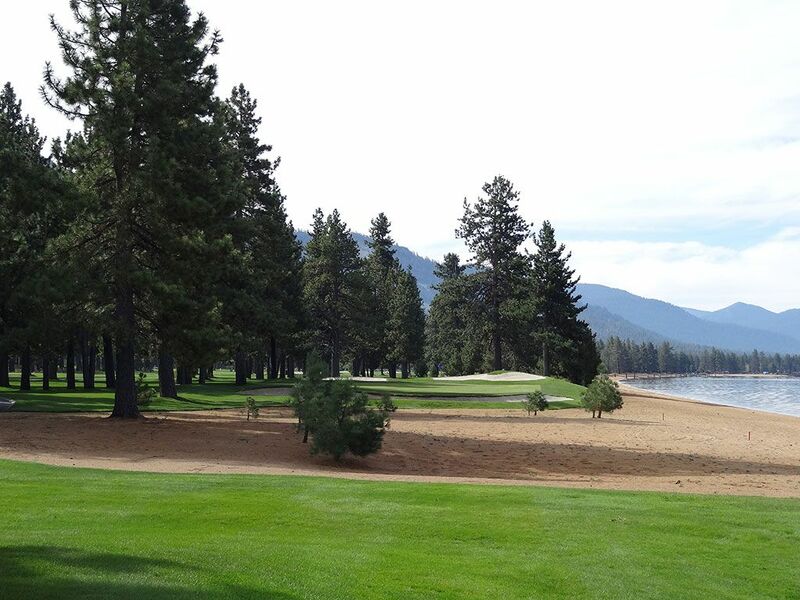 Running along the shores of Lake Tahoe, this beautiful one-shotter plays over a waste beach area that has become famous for caddies racing across it during the American Century celebrity tournament. The relatively large green is fronted by a bunker and features a bunker behind the tame putting surface. From the white tee that the celebs play, this is an easy green in regulation and an opportunity to go pinseeking while players firing from the tips will be happy to walk away with a par. This iconic hole is well worth the wait and the perfect lead in to the finishing hole. Best Par 3: 12th Hole – 214 Yards – The first par three on the back nine is an attractive offering that sits in an amphitheater of trees in classic Pacific Northwest style. The hole initially plays over the edge of a water hazard to a green the features a mounded muscle bunker in front and in the rear. There are no options for running the ball onto the putting surface as it is all about the aerial on this hole. The kidney shaped green is twice as wide as it is deep thus putting a premium on distance control over accuracy. Misses to the left will be easier to receover from since players missing to the right will be chipping to a green that runs away from them. The 12th is simply an underrated hole on a fantastic back nine. Best Par 4: 13th Hole – 434 Yards – On a back nine full of so many great holes, the 13th fits in nicely with this strong dogleg right par four. Bunkers sits on each side of the bend in the dogleg located in the driving zone of most players. Longer players can carry the bunker on the inside of the dogleg and shorten up the hole while also opening up the ideal angle to the green. Players pulling their tee shot left of the bunker on the outside of the dogleg will be blocked out from a shot at the green due to cluster of trees standing in the way. The bunker is fronted by a pair of large bunkers coupled with a small bunker behind the raised putting surface. The elevated tee shot should give you some extra distance which is partially robbed back on the elevated approach shot to the narrow but deep green. A green in regulation here is quite rewarding. 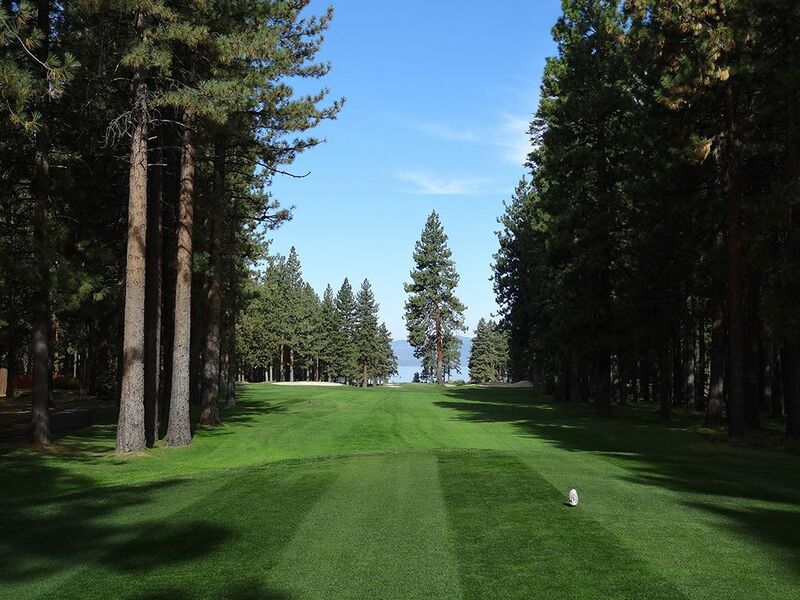 Best Par 5: 16th Hole – 564 Yards – Players getting to the 16th tee know that the climax of the round is coming as they tee off straight towards Lake Tahoe. A lone pine tree stands in the middle of the fairway just short of the bunkers located on each side of the short grass and presents a choice of how to navigate it. Whenever this is the case at a hole I always do the same thing; aim right at it and hope you donâ€™t hit a dreaded straight ball. 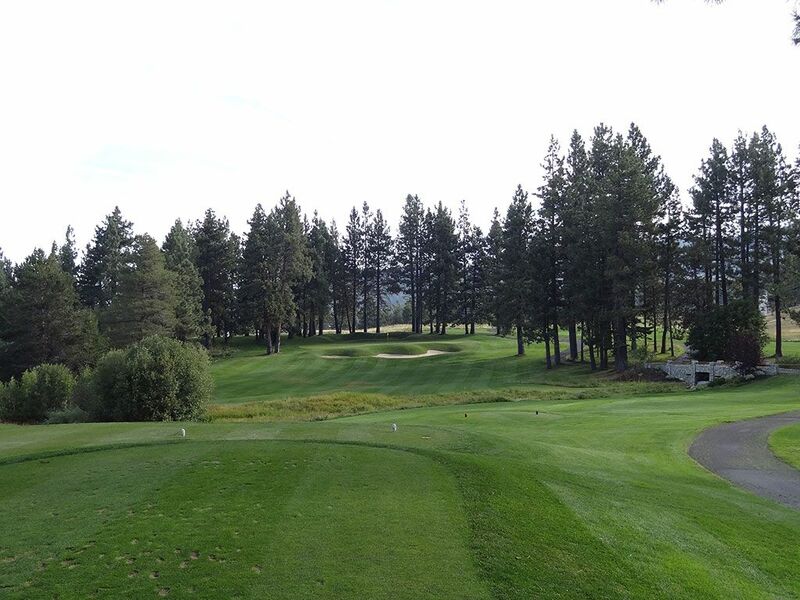 I also tee it extra high in case I do hit it straight that there is a chance Iâ€™ll go right over the tree; that method has proved worthy on the 8th hole at Coeur dâ€™Alene Resort and Lahontanâ€™s 12th. The next decision to make is whether to go for it in two or just layup. Edgewood comes through with a unique bunkering system that starts about 75 yards from the green and forces players to layup short of it or take their chances carrying it on their way to the open green. Bunkers run along both sides of the longest green on the course which I lucked out and drained a 101 foot putt on. 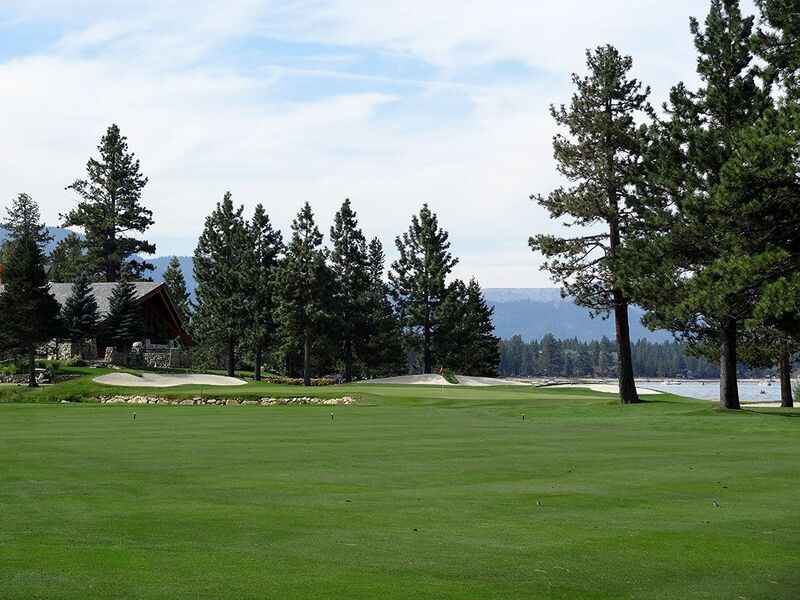 With tranquil views of Lake Tahoe beyond the green, the putting surface of the 16th hole represents one of the prettiest place to be on the property. Birdie Time: 18th Hole – 572 Yard Par 5 – From the white tees this hole becomes reachable in two with a long iron on the second shot, but even from the tips a good drive and 3-wood could get it done. Drives up the left side will provide the optimal angle for attacking the green as it takes the trees on the right out of play and allows players to play away from the water hazard that creeps in from the left. A receptive opening to the right half of the green is offered for players that need to run their ball onto the putting surface and is the safe line of attack from any distance. 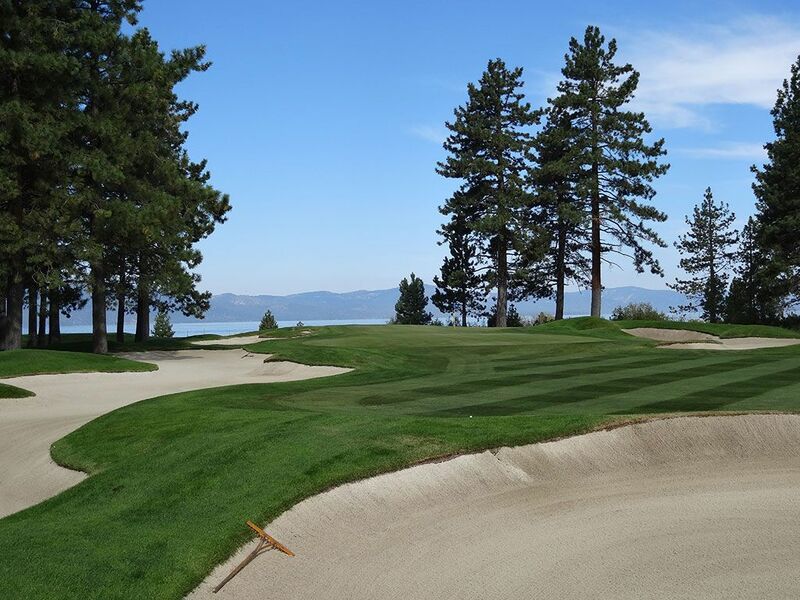 The green setting is one of the most attractive on the property with the putting surface surrounded by bunkers, trees, and water while Lake Tahoe beautifully acts as the background. For players laying up on their second shot, the hole is still a great birdie opportunity as the green is quite wide and will reward players selecting the appropriate club more so than have pinpoint accuracy. This finishing hole is simply one of the prettiest conclusions to a round in the West. Bogey Beware: 6th Hole – 472 Yard Par 4 – This hole features two things that can quickly create trouble for golfers; water and an uphill approach shot. Already stout in length, this dogleg right features bunkers on both sides of the fairway in the landing area plus a large pond that encroaches the fairway from the right. The uphill tee shot plays to a green that is surrounded by a half dozen bunkers which makes it extremely difficult to do anything but bring in a towering approach shot. The green is not visible from the tee so the pin placement will be a discovery after already committing to your tee shot. The green slopes well from back to front adding another challenge to this hole when you find the putting surface.